W. W. Norton & Company, 9780393242096, 304pp. The assassination of Israeli Prime Minister Yitzhak Rabin remains the single most consequential event in Israel's recent history, and one that fundamentally altered the trajectory for both Israel and the Palestinians. 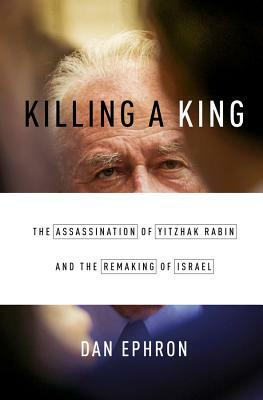 Killing a King relates the parallel stories of Rabin and his stalker, Yigal Amir, over the two years leading up to the assassination, as one of them planned political deals he hoped would lead to peace, and the other plotted murder. Dan Ephron, who reported from the Middle East for much of the past two decades, covered both the rally where Rabin was killed and the subsequent murder trial. He describes how Rabin, a former general who led the army in the Six-Day War of 1967, embraced his nemesis, Palestine Liberation Organization leader Yasser Arafat, and set about trying to resolve the twentieth century's most vexing conflict. He recounts in agonizing detail how extremists on both sides undermined the peace process with ghastly violence. And he reconstructs the relentless scheming of Amir, a twenty-five-year-old law student and Jewish extremist who believed that Rabin's peace effort amounted to a betrayal of Israel and the Jewish people. As Amir stalked Rabin over many months, the agency charged with safeguarding the Israeli leader missed key clues, overlooked intelligence reports, and then failed to protect him at the critical moment, exactly twenty years ago. It was the biggest security blunder in the agency's history. Through the prism of the assassination, much about Israel today comes into focus, from the paralysis in peacemaking to the fraught relationship between current Prime Minister Benjamin Netanyahu and President Barack Obama. Based on Israeli police reports, interviews, confessions, and the cooperation of both Rabin's and Amir's families, Killing a King is a tightly coiled narrative that reaches an inevitable, shattering conclusion. One can't help but wonder what Israel would look like today had Rabin lived.